The main floor consist of an upgraded kitchen equipped with granite counter tops and stainless steel appliances. The open layout continues to the outdoor space through two 12ft Arcadia doors. Up stairs is a large master suite with walk in closet. A 1/2 bath and an additional bonus space and built-in granite desk. On the bottom floor there are two more bedrooms with a 3/4 bath and a spacious laundry room. 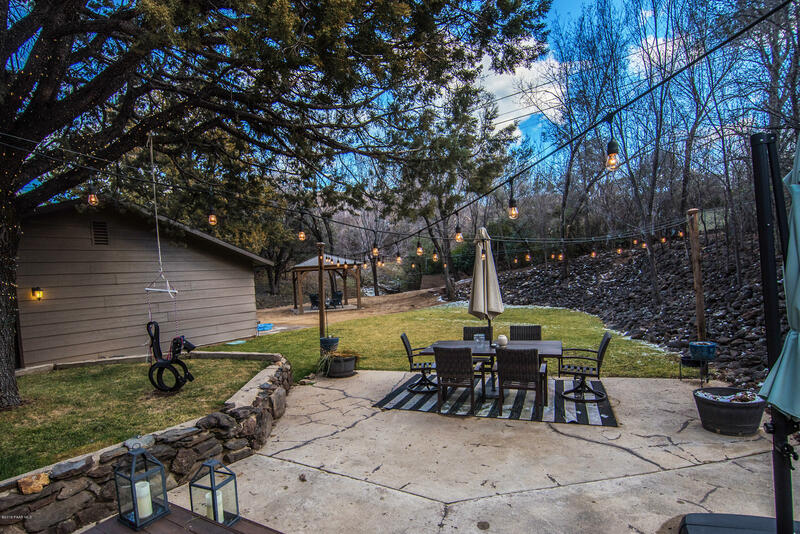 The back yard is full of large mature trees, large grass area with irrigation, concrete patio with a second paver patio covered by a pergola. 3 car detached garage with pass through to back yard equipped with another 1/2 bathroom, 220 outlets.